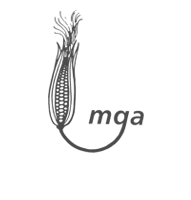 The MGA Times is the regular newsletter of the Maize Growers Association. The Times provides information on the goings on of the MGA as well as news of our and others research and development programmes. An archive of past copies is contained on this page and is available to members and non members of the association. This issue includes articles about Western Corn Rootworm, the MGA Conference to be held in February and maize under plastic. Chop length - How long? Is your maize feeding well?